Heeft u een vraag voor Nana Marina Court? Gelegen in Centraal zakendistrict is Nana Marina Court de perfecte keuze voor reizigers die Kota Kinabalu en omgeving willen bekijken. Op slechts 5.3 km afstand, kan dit 1-sterren hotel eenvoudig worden bereikt vanaf het vliegveld. Dankzij de praktische locatie liggen alle belangrijke trekpleisters in de buurt van het hotel. Voor Nana Marina Court is niets teveel om het gasten naar de zin te maken. Zo biedt dit hotel goede service en vele faciliteiten. Voor het comfort en gemak van de gasten biedt het hotel gratis wi-fi in alle kamers, keuken, parkeerplaats, vervoer van/naar luchthaven, familiekamer. De ambiance van het Nana Marina Court weerspiegelt zich in de inrichting van de kamers. plasma tv, internet (draadloos), draadloos internet (gratis), rookvrije kamers, airconditioning zijn slechts enkele van de faciliteiten die u ter beschikking staan. Het hotel biedt geweldige recreatiemogelijkheden die uw verblijf onvergetelijk zullen maken, zoals sauna, zwembad (buiten), kinderspeeltuin, zwembad (voor kinderen). Geniet van ongeëvenaarde dienstverlening en de prestigieuze uitstraling van het Nana Marina Court. Houd er rekening mee dat deze accommodatie onder privébeheer van een individuele eigenaar is. Het is een privévakantieverblijf en heeft derhalve geen incheckbalie. De eigenaar zal een afspraak maken voor de sleuteloverdracht en een rondleiding door de accommodatie. In geval van vragen m.b.t. de accommodatie hebben gasten de contactgegevens van de eigenaar. Er is slechts 1 gratis parkeerplaats per appartement beschikbaar. just cross the road and nearby with pasar philipines.. belakang ada mcdonald ... depan hard rock KK.. cool and nana very good and friendly boleh wait us till nitearrival. The room was different with the one I booked. I booked 3rooms with 3 double bed but given 3rooms with one double bed, 2 single bed, 1single and a double-decker. The building quite old and furniture inside the room was bit old and need some improvement. The cleanliness just so so. The balcony was dirty and dusty curtains. The location is great. However I feel not worth for the value. I can found few better homestay/hotel nearby with less money. Suitable for the family and group friend travelling. For the location, you can just walk over the street to Philippine market , center market and buy some local vegetable ,fresh crab, prawn , fish and craving your own recipe. Owner is very friendly to help us out in our travel schedule, she recommanded lots of nice places for visit. The house is very clean and tighty, totally value for money. The location is very strategic, near to Imago mall, center points, suriah sabah, philipine market, Gaya street, etc. My family enjoying staying there. Surely will recommand to others!!! Great location.near to oceanus mall/hardrock cafe..plenty taxi infront of apartment. distance to philipines market not so far only 5min by car and 20-30 walked.. Apartment condition is so good n cleaned. Unfortunately for next day before checkout no water supply at apartment.luckly ms nana already prepared for us. Overall satisfied. Good location within walking distance. The room spacious, cleanliness just ok, got dust on the curtain blinds. Would be better if the owner can provide indoor slippers. So far, I enjoy my stay during my holiday. We really enjoy our holiday.. it is a perfect place to stay.. thank you for the fast response and excellent service from d owner n d staff .. wud luv to come back..
3 bedroom = 1st room the aircon leak 2nd and 3rd room the aircond not working.. Location just near the town.. where we can easily drive thru shopping mall or we can just walk.. this time was my 5th time stay at marina court.. won my money stay here. We rented a car. Walking distance to waterfront and philipino market. Nearby to shopping malls too. Nana was very welcoming and her service was very good. Having two parking space was a bonus coz we didn't expect she will provide two parking for us since parking is limited for one only. The apartment got very ample space and very clean. But I didn't notice any exhaust fan, it maybe help to prevent any odour in a room. Really comfortable for a family with young children. Recommended! Its a spacious 3 bedrooms apartment come with 1 king size, 1 queen size & 2 single bed which can easily acxomodate 6 pax. 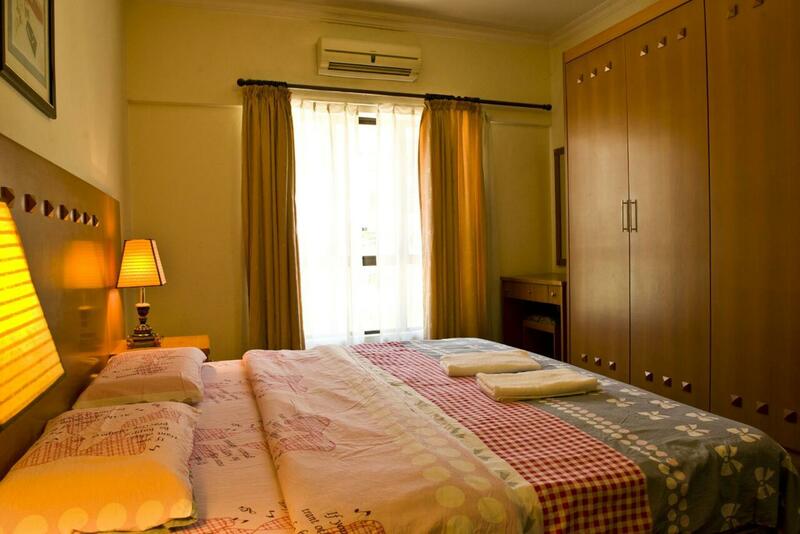 All rooms are equip with aircond and build in wardrobe. You can consider it a full furnish home even ur leaving hall are airconditioning. Washing machine are there at ur disposal. The owner will also clean and make up the room daily. Location wise its opposite a mall which host a Hard Rock Cafe and other eatery. Its about 6km to KK airport and u can hail grab or uber easily and the charges is around rm10-rm15 one way. You can even walk about 10 minutes to Philipine market and about 25 minutes walk to the Jetellson jety if you dexide to go forn island hopping. (Please go during dry season because we nearly got stranded on the island when it got hit by sevwre storms a couple of days back) Would very much stay here further more you will be greated by a very friendly host - Hana herself.. The room was very clean, but the down side was that the room that we booked was situated in a quite secluded area which made it weary for me as I was traveling without my husband, and I had to look after 2 of my son. I was with a friend, but it didn't feel very safe. The sense of privacy was a little off because other tenants who lived there could see you through the kitchen windows as the curtains didn't do a any good. The kitchen door could not be locked too, and the main door didn't feel very secure, even though both doors had grill and gates, but it still didn't feel 100% secure. Staff was friendly. 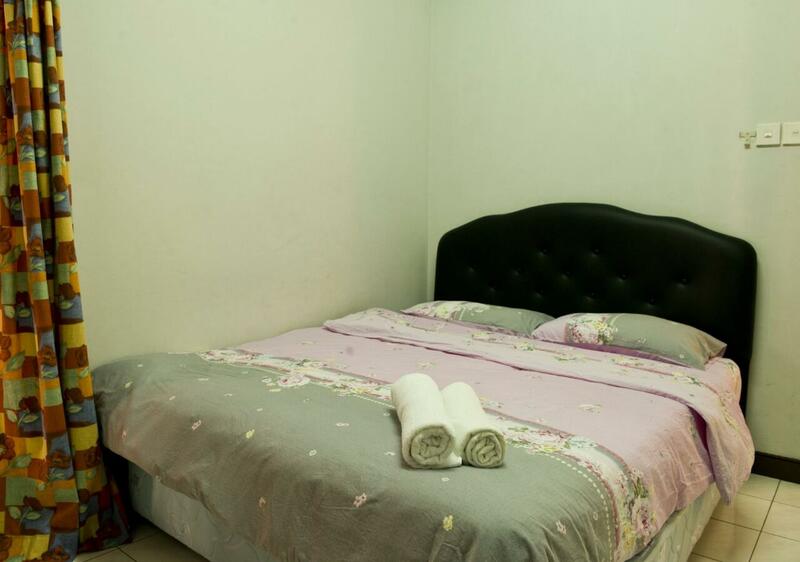 Overall good place to stay near shopping mall. The owner of the units (Nana and the husband) serve us nicely. Good 1. Warm welcome by the husband of Nana 2. 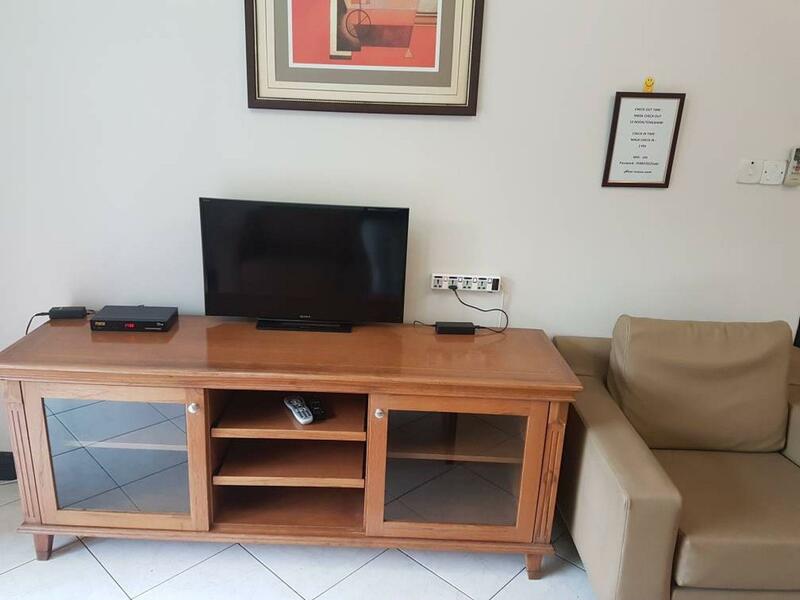 Both apartments very clean, good services and facilities 3. Fast responds after complain about unsafety room i.e. We found our 1 unit's door unlock after we back from shopping. Nana and the husband comes to us with the security to settle everything. Bad 1. No water supply occured on 15-16 Dec 2016. Badly service by the management of the Marina Court. They informed no water supply started from 8am til 12 midnight. But actually until 4.30am. 2. Very dirty swimming pool. My nieces found feaces. 3. The security of Marina Court not warm welcoming. Always showed anger face. All the facilities is a walking distance only. Shopping mall, 7E, philipine market, gaya market, mcdonalds, starbucks inside shopping mall where it is located infront of the condo. Got swimming pool. Very clean house, wifi, private parking those rent a car. Public transport such as taxi and bus. The apartment is large enough for a big family! Can cook and do our own laundry. Everything is nearby, walking distance to the markets, malls, restaurants. The owner is punctual! The staff will come and clean the apartment daily. Worth it to stay here. Taxis are always available at the entrance. Nana and her husband are very helpful and nice! The house is very spacious, cozy, and clean. The location is perfect. You can basically walk to all the spots in city center. Highly recommend for those traveling in a large group. You will definitely enjoy your stay here. KK is a wonderful city with so many things to do, so many places to go. We didn't have time to use the swimming pool but it looked very great. Wish we had stayed more days at Nana Marina Court. No shampoo and bathing gel provided. Make sure to bring your own! Clean towel is provided every day! Very helpful!